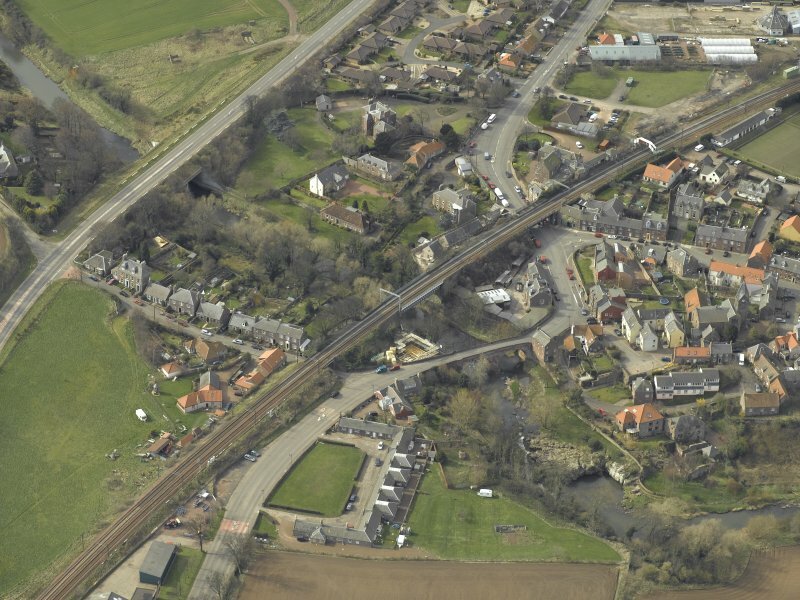 Oblique aerial view of the village centred on the road bridges, railway viaduct and church, taken from the NE. 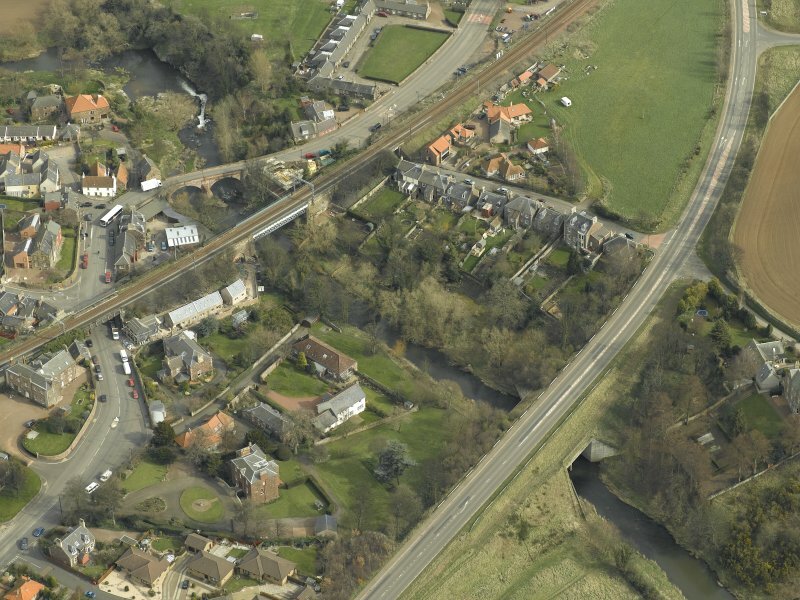 Oblique aerial view of the village centred on the road and rail bridges, taken from the N.
Oblique aerial view of the village centred on the road bridges, railway viaduct and church, taken from the S.
Oblique aerial view of the village centred on the road bridges, railway viaduct and church, taken from the NNE. 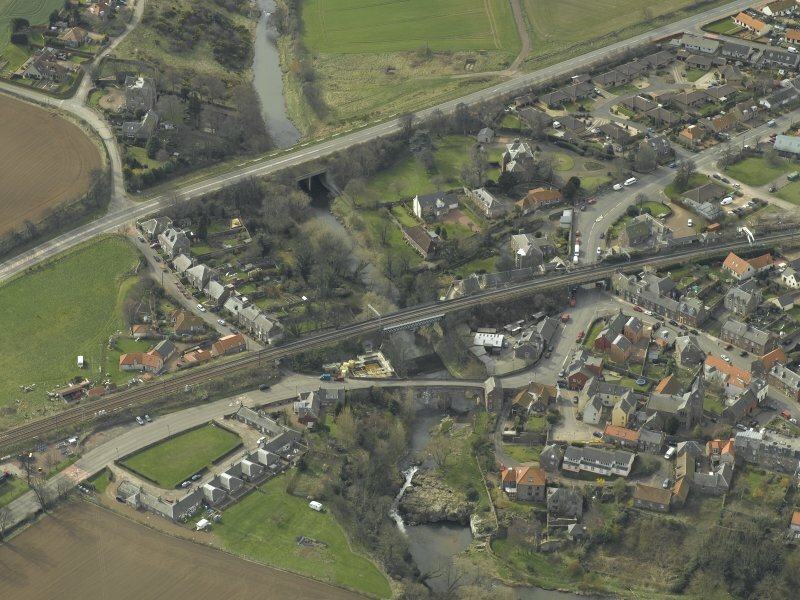 Oblique aerial view of the village centred on the road bridges and railway viaduct, taken from the SW.
Oblique aerial view of the village centred on the road bridges, railway viaduct and church, taken from the ENE. For (successor) New Tyne Bridge (NT 5919 7692, to S), see NT57NE 57. 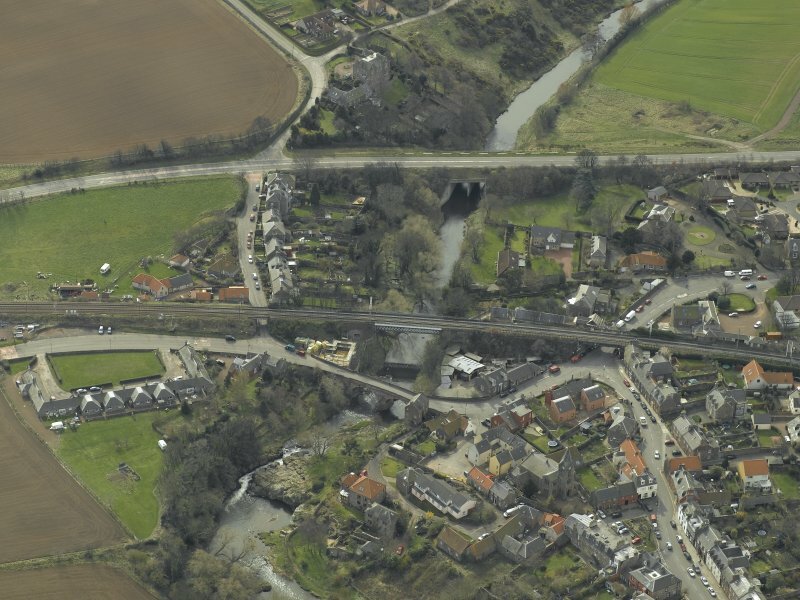 For corresponding railway bridge (adjacent to S), see NT57NE 103. 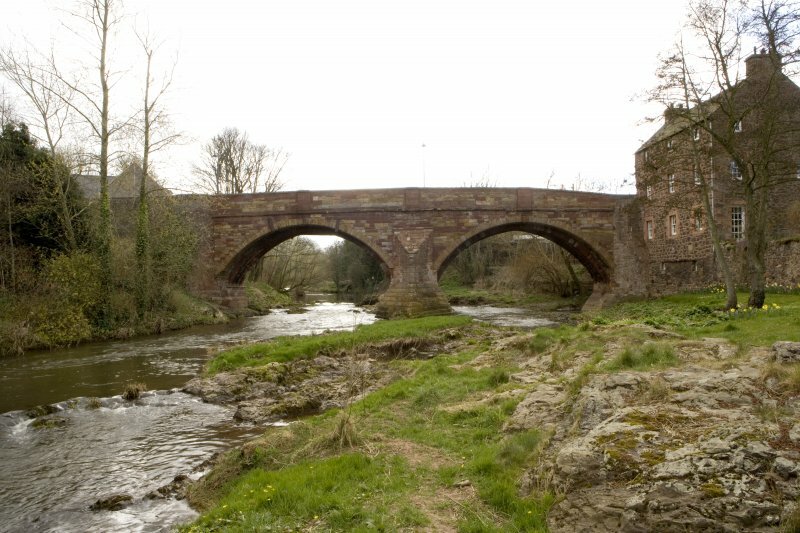 While certainly having its origin in the 16th century, and perhaps being datable substantially to the period between 1548 and 1560, this bridge has evidently undergone much alteration and numerous repairs (references to repairs occur in 1625, 1639 and 1661); the date 1763 cut on the downstream keystone of the NW arch probably refers to a widening of the bridge. 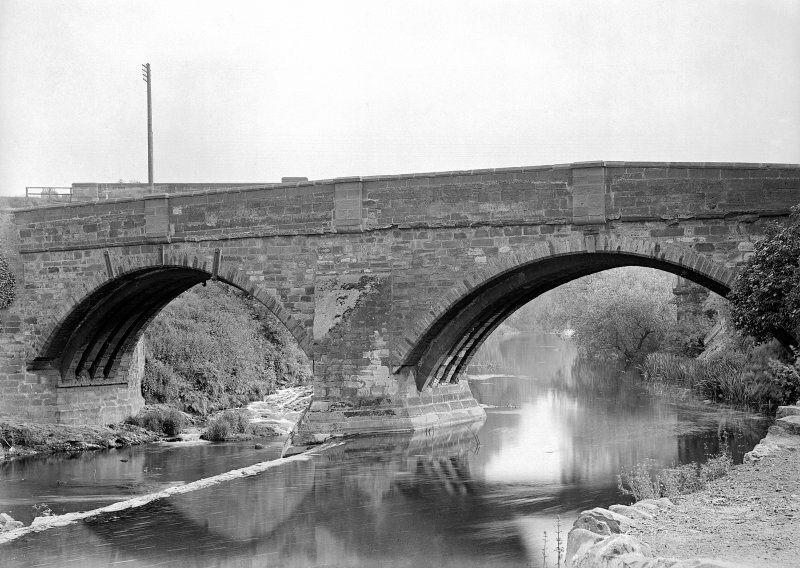 The arch-rings and spandrels were tied with rods and straps and concrete laid on the extrados of the arches about 1884; the parapets were heightened about 1895, and further repairs are indicated by the date 1934 and a mason's mark carved on the downstream side of the NW abutment. 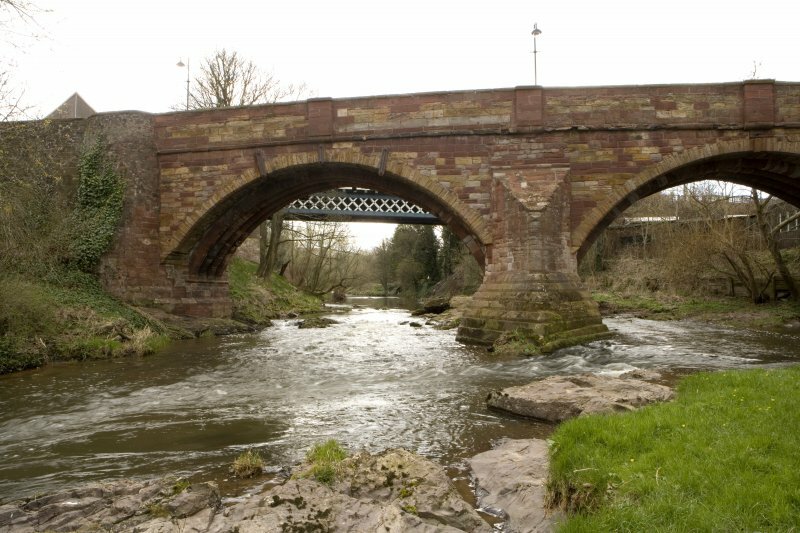 The structure now shows many irregularities of detail (described by Graham) and measures 98ft in length between its abutments; it is 18ft 9ins (5.7m) wide over the parapets, which are 3ft 7ins (1.1m) high. The carriageway is 17ft (5.2m) wide. RCAHMS 1924; A Graham 1965. 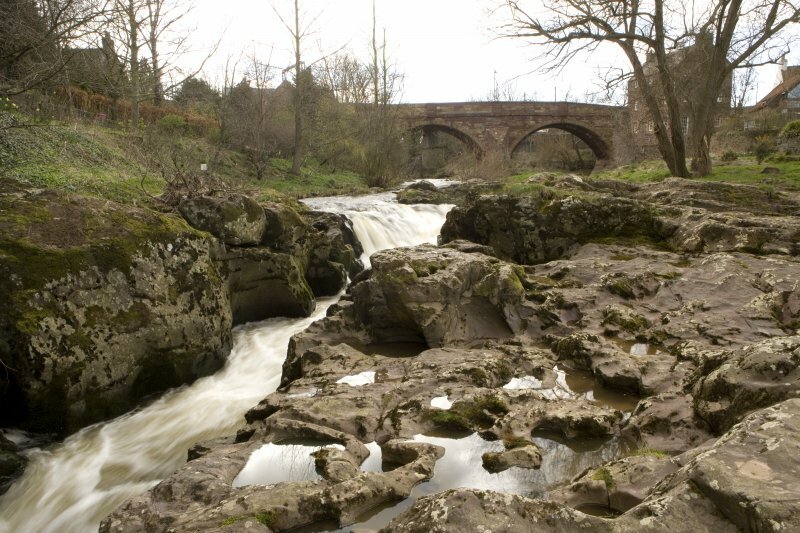 This bridge, as described, is in a good state of repair and is in everyday use. Visited by OS (WDJ) 20 October 1962. (Location cited as NT 593 771). 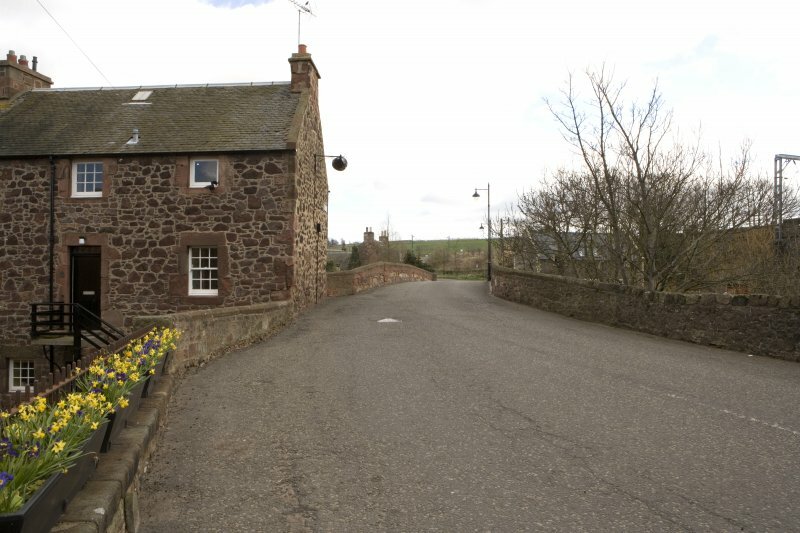 Bridge, East Linton. 16th century. 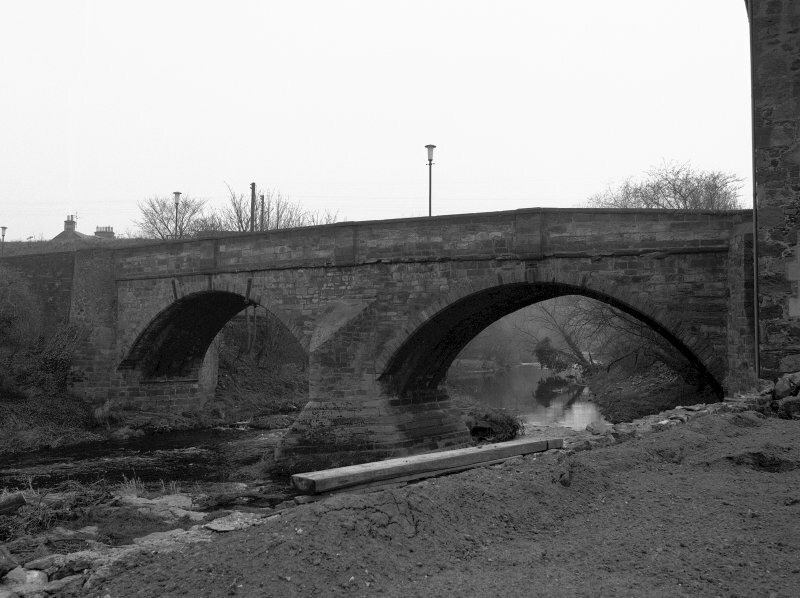 A 2-span rubble bridge with segmental arches and triangular cutwaters. 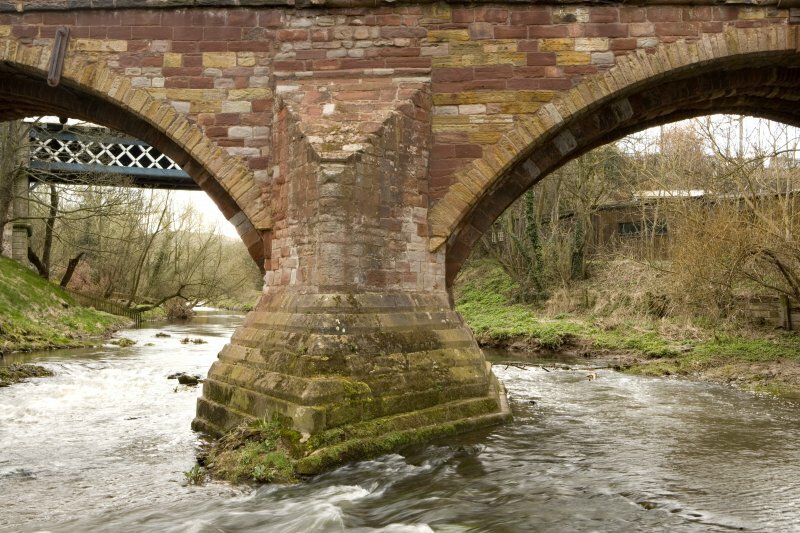 This bridge, crossing the River Tyne at East Linton, is of two four-ribbed arches and a huge stepped cutwater, of 16th century date; its upper parts 1763 and later. 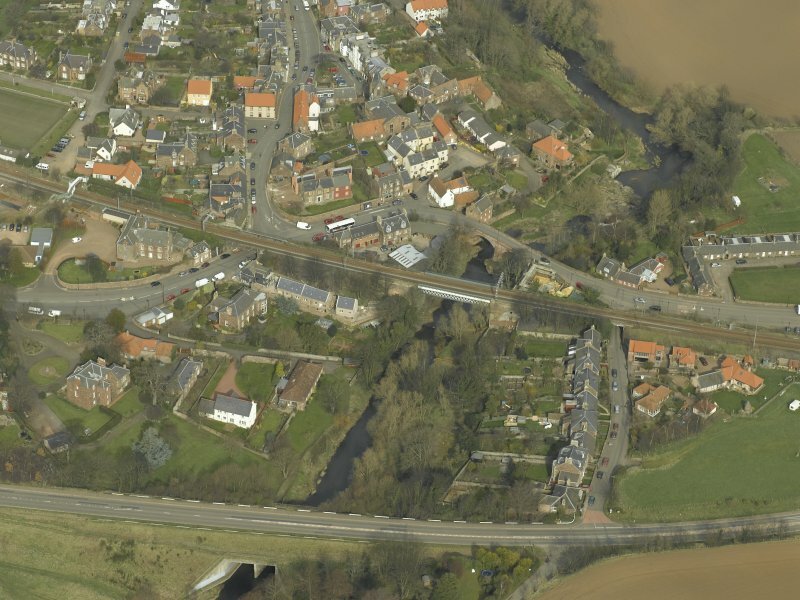 This bridge carries the former line of the A1 public road across the River Tyne within the town of East Linton (NT57NE 114). Information from RCAHMS (RJCM), 15 October 1997. 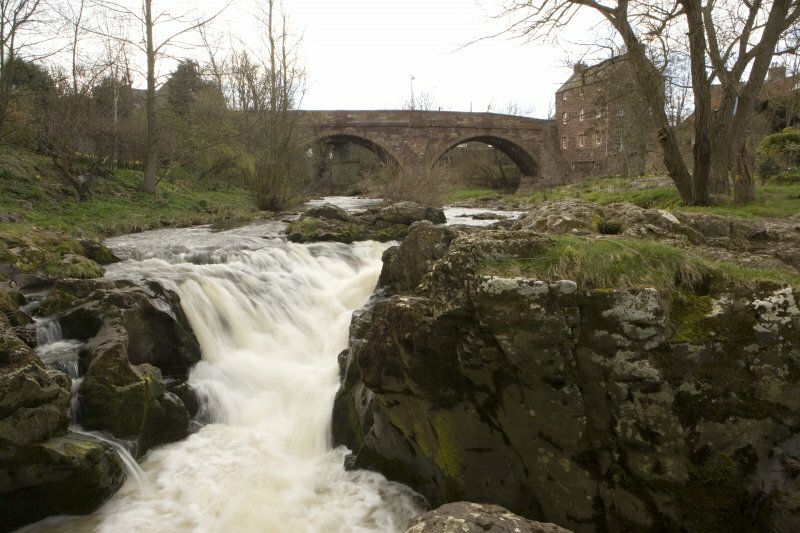 (Name cited as Linton Linn). Descheduled. it was widened. 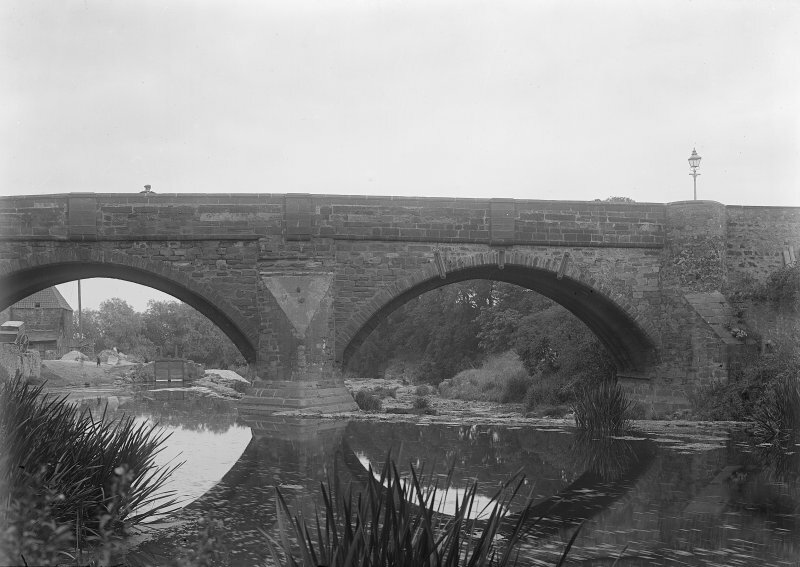 Other repairs took place in 1884, 1895 and 1934.
the French army in 1549, but a bridge, presumably the present one, existed by 1560. 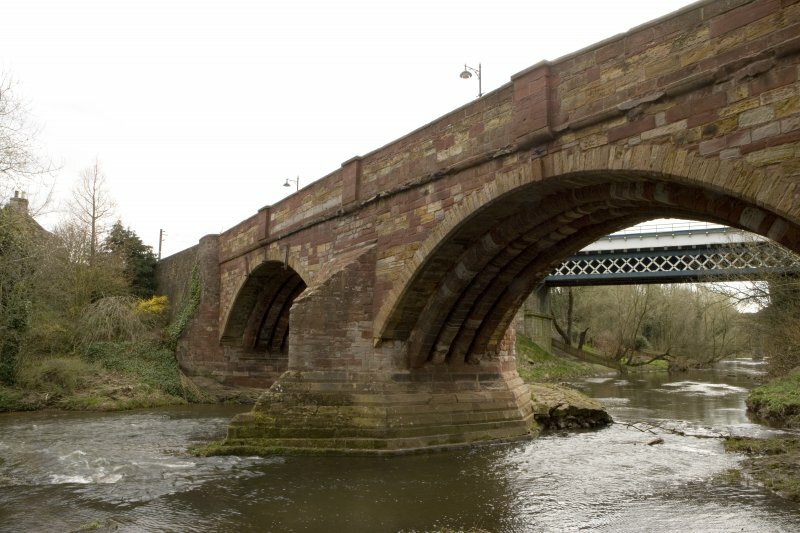 The bridge, which carried the A1 Edinburgh to Berwick road until bypassed in the late 1920s, has twin arch spans of about 40 ft each, founded on exposed rock in the bed of the Tyne. There are four ribs to each arch, closely spaced, and easily inspected from outcropping rock on the downstream side. The dates 1762 and 1763 on the keystones record when it was widened. The original overall width across the soffit was 1012 ft, increased to nearly 14 ft when it was widened. 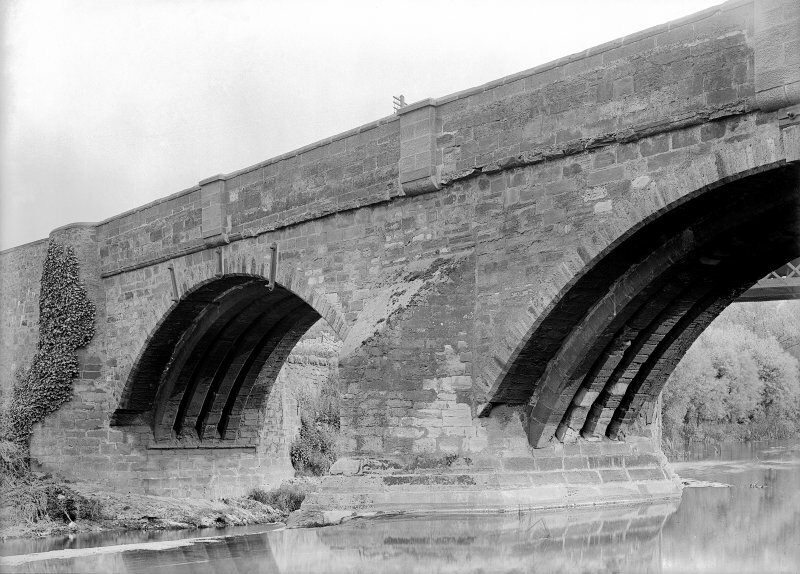 Other repairs took place in 1884, 1895 and 1934. In 1927 the bridge was relieved from trunk road traffic by an elegant three-span steel plate-girder bridge of the cantilever and suspended span type with a central opening of 102 ft 8 in. 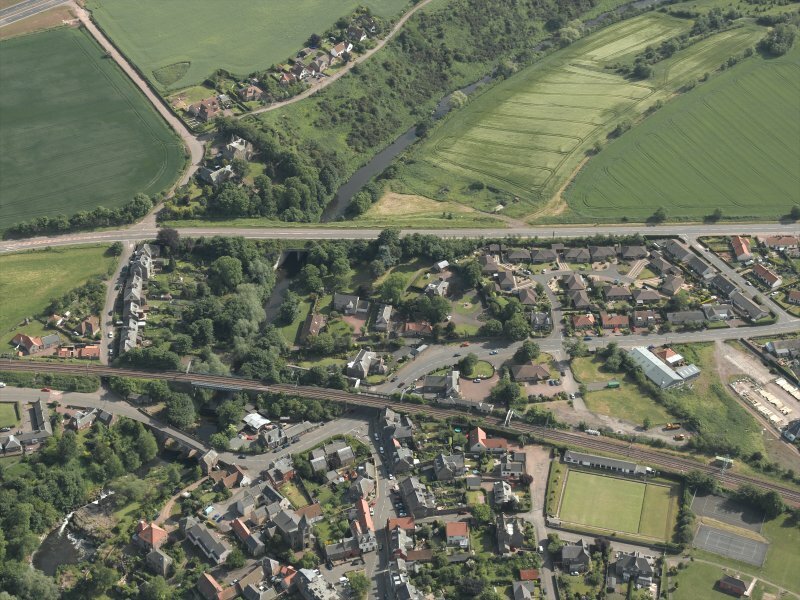 designed and built by Sir William Arrol & Co. 118In the 1990s this was replaced by an embankment and culvert.